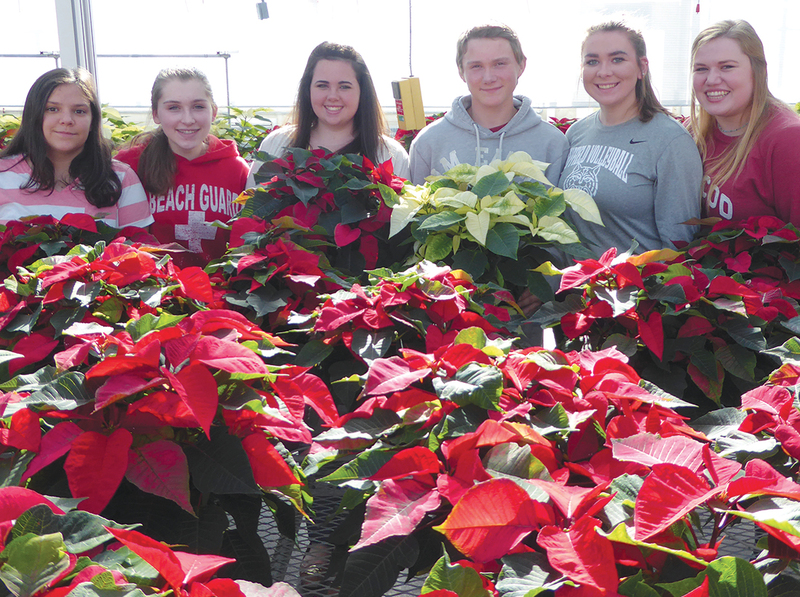 Students of the Suffield Regional Agriscience Center are pictured in the SHS greenhouse with poinsettias the FFA will sell until December 6. From the left: Gianna Holcomb, Granby; Renée Tautic, Suffield; Brittani Burke, Suffield; RJ Fenoff, Enfield; Makena Shea, Windsor Locks; Morgan Benware, East Granby. They are all sophomores.